Stampin' Up ideas and supplies from Vicky at Crafting Clare's Paper Moments: NEW! 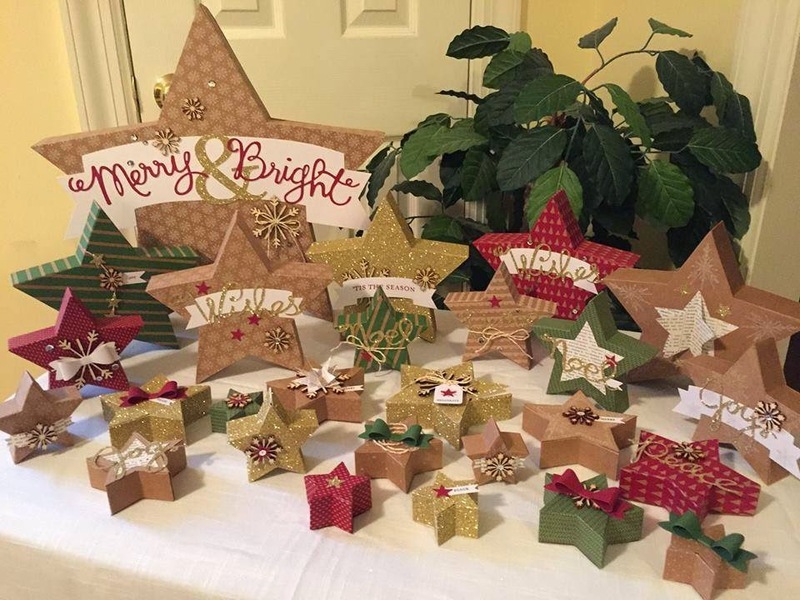 Many Merry Stars kit from Stampin' Up! NEW! 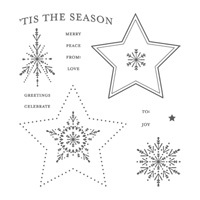 Many Merry Stars kit from Stampin' Up! If you were to ask me what's super-hot at Stampin' Up at the moment I'd have no hesitation in telling you - it's definitely the Many Merry Stars Kit! Inside the kit is everything you need to make 26 star boxes in varying sizes and includes fabulous embellishments and die cut words. 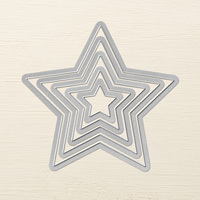 The only extra thing you'll need is glue to attach the embellishments but the star boxes themselves have sticky strip already applied. They are easy to make and fun to decorate! • There are 26 boxes and they work brilliantly as an advent calendar! • Homemade edibles and other gifts will look fantastic in them! The boxes don't require any stamping but, if you're like me and get withdrawal symptoms if you aren't tapping a stamp into some ink, you'll be glad to know that there are coordinating stamp sets available. You can use Bright and Beautiful from the Stampin' Up autumn/winter catalogue or Many Merry Stars from the brand new supplement. 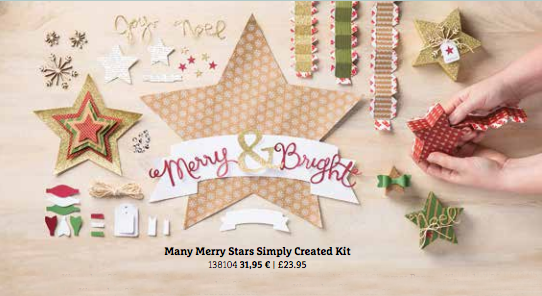 BUY THE MANY MERRY STARS KIT AND OTHER STARS NOW! It's been another hectic weekend but I'm happy today because it's half term this week and that means that I get to spend a bit more time with my super stars! See you tomorrow with some Christmas inspiration! Purely professional video, with the star being your son, - sorry.